A Turks and Caicos Rock Iguana on Little Water Cay. This tiny island is the best place in the country to see the indigenous Turks and Caicos Rock Iguana. Beach on the north coast of Little Water Cay. 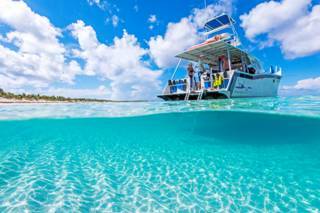 For a list of attractions and activities on Providenciales, see Things to Do in Providenciales. 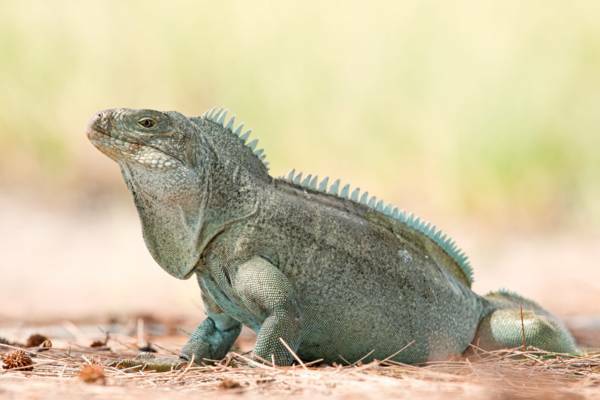 For more information about this endangered animal, see Turks and Caicos Islands Rock Iguana. 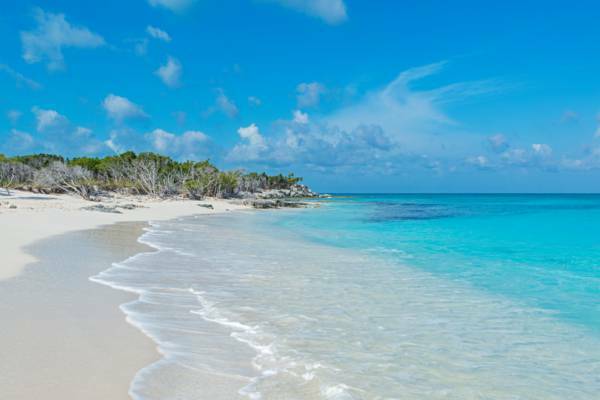 An interesting attraction is the nature reserve of Little Water Cay, locally known as 'Iguana Island'. 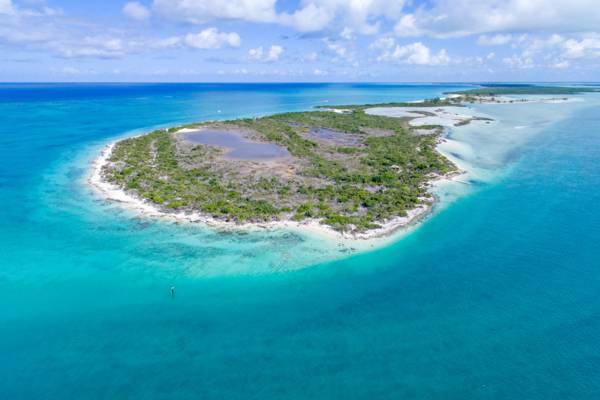 This small island, or cay, is home to the few remaining Rock Iguanas that used to cover most of the islands in the Turks and Caicos. It's larger namesake island is Water Cay, a privately-held island. 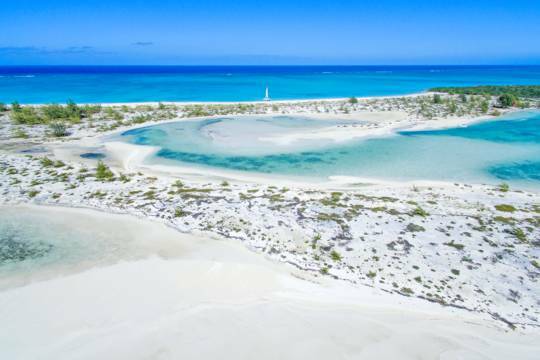 Little Water Cay is only 499 yards (456 metres) from Providenciales. 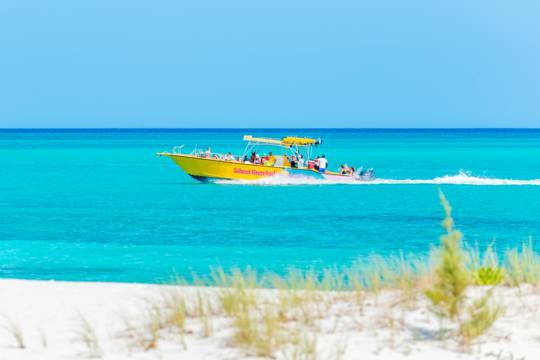 It's a short trip via a tour boat or kayak from the Leeward Marina area on Providenciales to the nearby island. 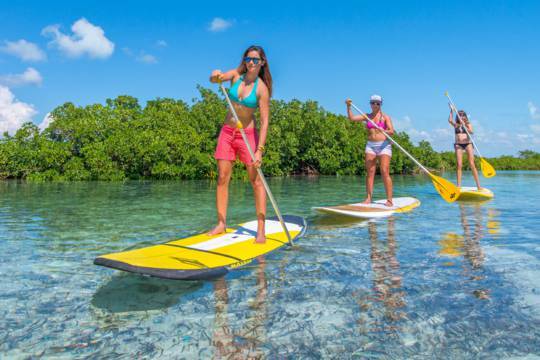 Big Blue Collective rents kayaks, but be aware of currents in the channel between Providenciales and Little Water Cay. However, due to the presence of boats and other people in the area, there are usually people to assist you if you have problems. 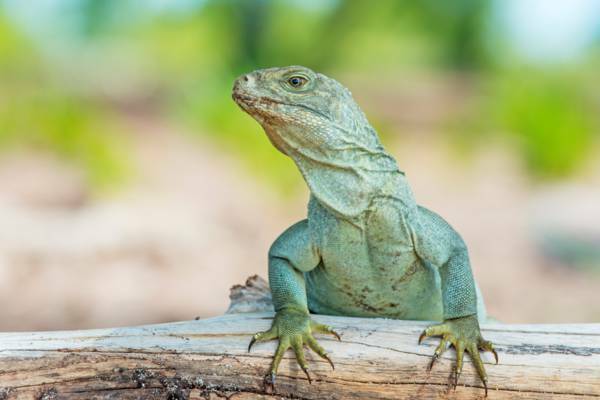 Local companies offer package eco-tours which combine a visit to Iguana Island. The iguanas on Little Water Cay are easy to approach. The main and only attractions are the Turks and Caicos Rock Iguanas (Cyclura carinata), which are basically big lizards. They're everywhere on the island due to extensive conservation efforts. 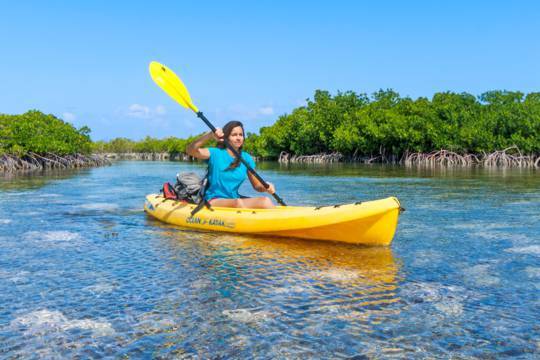 If you're travelling by kayak, be sure to stop by the little islets nearby to see the wilder, smaller iguanas which inhabit these miniscule islands. Little Water Cay from the air. Little Water Cay has two sets of loop boardwalks installed, one on the north side and one on the south side of the island. Those kayaking will reaching the southern boardwalk, whereas those arriving by boat depends on the operator and size of the boat. Both boardwalks offer a similar experience, although the northern part of the island offers several saline wetland ponds. This is something that families, eco-tourist, and just the average person will find interesting. Total trip (if visiting the island only) is about 2-3 hours round trip. The Visitor Centre on Little Water Cay, funded by the European Union. Unfortunately, these animals are classified as endangered. These lizards used to live on all the islands in the Turks and Caicos, but the introduction by humans of cats and dogs quickly led to their rapid decline and extinction on the other islands. When visiting, DO NOT feed the iguanas and stay on the boardwalks. Please do not litter. Pets are prohibited. 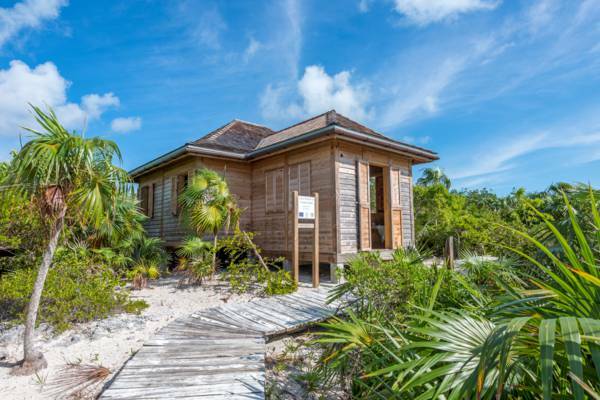 Tourism to Little Water Cay is managed by the Turks and Caicos National Trust. 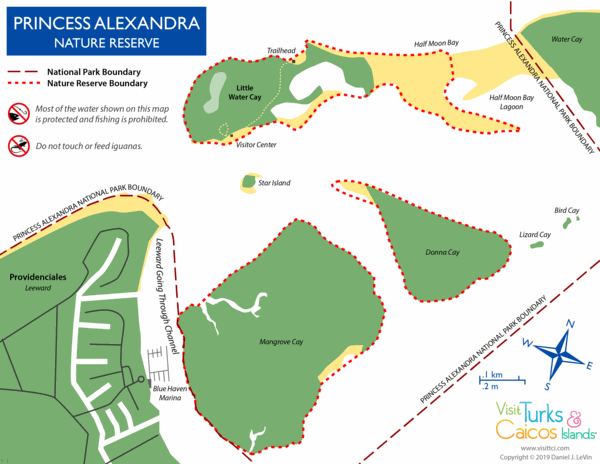 As a sensitive nature reserve, all access to the island must be through designated paths and boardwalks. 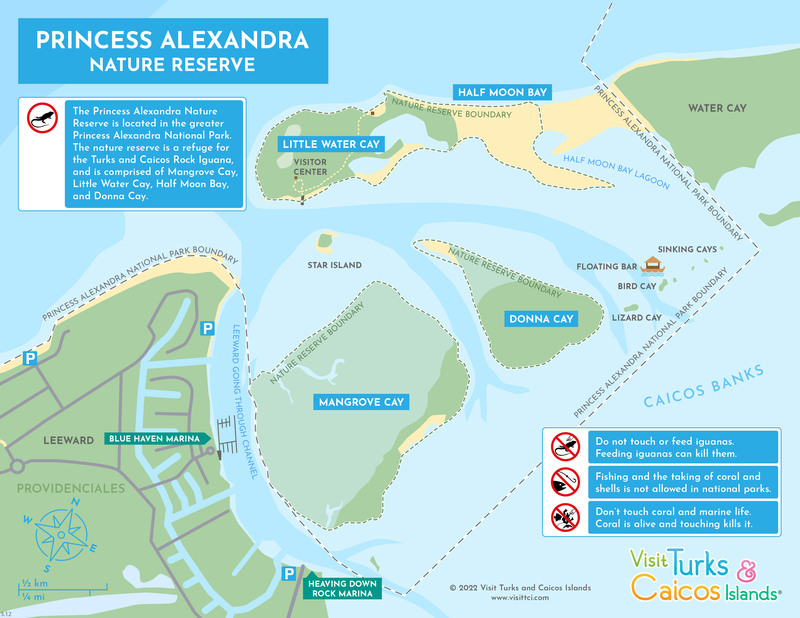 Admission to Little Water Cay and the boardwalk paths can be obtained at the visitor’s centre on the island, through most tour and boat cruise providers, and at the National Trust office on Providenciales. Three levels of admission are offered. Admission to the visitor’s centre and guided tour is $10. Admission to the visitor’s centre, guided tour and access to the extended trail is $15. Access to Half Moon Bay is $5. For tickets and general inquires, contact the Turks and Caicos National Trust at +1 (649) 941-5710. A female Turks and Caicos Islands Rock Iguana.